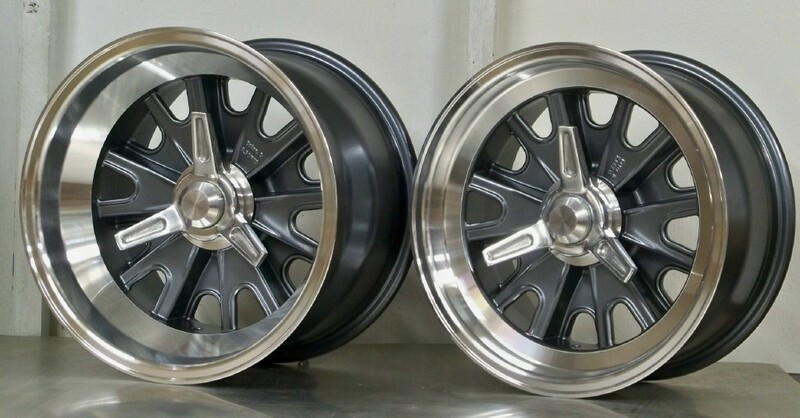 dark gray powder coated centers machined rims. Supplied complete with vintage adapter/spinner and lug pin kit. Direct fit on FF with pin drive width ,plus SPF .Unique ,ERA(5 lug) .Hurricane, many others, plus Mk1, Mk2 GT40. Please note the clips can be installed with or without the adapter end cap in place.